Matriculation Board to peg admission cut-off mark at 120 for universities and 100 for polytechnics, monotechnics and colleges of education. Most of the vice-chancellors our correspondents interviewed on the issue maintained that they would not lower admission standards in their respective varsities. 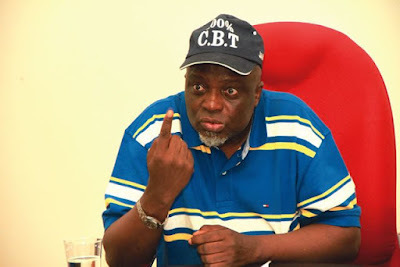 Olayinka, however, commended the decision of the Federal Government to re-introduce the post-UTME test and exonerated the incumbent JAMB Registrar, Prof. Ishaq Oloyede, from the cancellation of the test two sessions ago. “It is gratifying to note that the Honourable Minister of Education, Mallam Adamu Adamu, who chaired the meeting, apologised publicly for canceling the post-UTME screening last year. “In effect, universities are now allowed to conduct the test using modalities approved by the Senate of each institution. Obilade, who said that TASUED would never go below 180, insisted that many of the VCs at the Combined Policy Meeting during which the 120 benchmark decision was made, said they would not go below 180. Speaking with journalists in Ibadan, the Chairman of ASUU at the University of Ibadan, Dr. Deji Omole, said it was the dream of the present government to destroy education in the country. Omole said it was vital for JAMB to be scrapped in order to save the nation’s education and its future. He said the board had outlived its usefulness and that prospective students should apply directly to universities of their choice for admission. He said, “Where are the students that the JAMB registrar said entered universities illegally? Which universities admitted them? If 30 per cent did not take JAMB and found their way into the university system, is that not corruption and a message that JAMB is not significant anymore? What sanction did those who did the illegal thing receive other than regularisation of illegality. “We are watching because long before now we have said that JAMB has outlived its usefulness. Let the universities set their unique standards and those who are qualified can come in. Scoring 120 out of 400 marks is 30 per cent. Even in those days, 40 per cent was graded as pass. But now JAMB said with F9 which is scoring 30 per cent you can be admitted. Also, the Dean of Students Affairs, Federal University of Technology, Akure, Prof. Kayode Alese, who spoke on behalf of FUTA management, said that the institution would soon unveil its cut-off mark. “However, I can assure you that FUTA has never gone as low as 120. It has never happened and it will never happen,” he said. Also, the Vice-Chancellor, Obafemi Awolowo University, Prof. Tope Ogunmodede, said the institution would not admit any candidate with 120 UTME score. The organisation said that the reduction by JAMB, from 180 for universities and 165 polytechnics, to 120 and 100 respectively for the 2017 UTME, would translate to a disastrous outcome in the future. The President of NANS, Chinonso Obasi, in a statement on Thursday, threatened that the decision would be resisted if JAMB refused to adhere to the status quo. He said, “As critical stakeholders in the educational sector, NANS will vehemently resist the review and call on government to maintain the status quo and endeavour to conduct a comparative study and analysis of policies from other climes that support functional learning and production of young people that can compete with their peers globally. According to him, since the 21st century is being driven by innovation and competitiveness, lowering the entry level into tertiary institutions would only further contribute to reducing the productivity and peak performance of young people seeking admission into the country’s higher institutions of learning. However, the Vice-Chancellor of the Christopher University, Ogun State, Prof. Friday Ndubuisi, said the new admission benchmark would have no negative implication on the quality of education.